been. Couldn’t believe how cheap and well-built it was. And so easy to use! every time – and we are perfectionists here at The Ludlow Food Centre. The whole process is super-smooth with the purchase and delivery effortless. 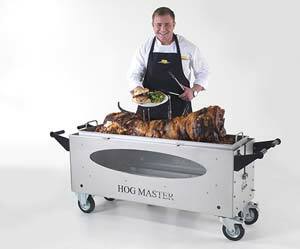 The Hog Master – The UK’s most popular Hog Roast Machine. 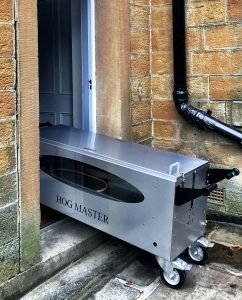 The Hogmaster has redefined the hog roasting industry. 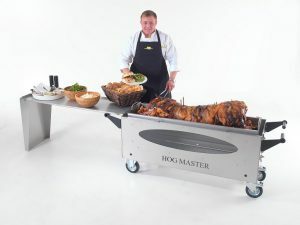 With its ease of use and low cost it has made hog roast catering accessible to everyone, designed for professional chefs as well as beginners. With over 25 years of experience in Hog Roast Catering we know what works, through this we have been able to produce an industry leading machine. It is versatile, compact, lightweight, tough and durable, above all else it is simple to use and will produce a perfect pig time after time. We are delighted to welcome you to the home of British built, Hog Roast Machines. When we say home we mean it, because this really is the only place that you need to visit to find the ultimate in pig roasting technology, built right here in the UK in our very own factory. Hog roasting is enjoying a real renaissance as a catering solution at the moment we are delighted to be playing a key role in raising the profile of this great meal. Our ten years experience in the hog roast industry together with a very comprehensive knowledge of the catering market has helped in our quest to develop some of the leading hog roast machine catering solutions anywhere in the UK. We are rightly proud of our products and we believe that anyone who uses one of our machines will never want to go back to anything else. These really are the best on the market! Looks Great – A fully stainless steel design means the machine not only looks great, but is easy to clean and is food safe. Endless Variety – A large capacity means you can cater for large amounts of guests using one machine and you can cook more than one meat in the machine at any one time meaning you can offer a wide range of options to your guests. Durable – The Hog Master is built to last, all our product are made out of heavy gauge stainless steel which is built to withstand the heat and the knocks that come with mobile catering. The machines are easily to maintain and only need an annual Gas Safe check. There is something that many people find a little surprising about our machines and that is the place where they are made. In a world where everything seems to be manufactured cheaply in the Far East, we take a different approach and one that we believe shows how committed we are to quality. 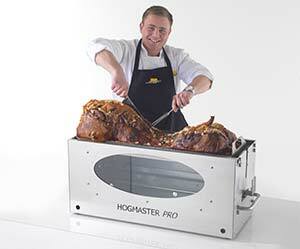 Every single one of our hog roast oven machines is designed and manufactured right here in the UK! We were so keen to ensure that every aspect of the machines was perfect that we simply had to have manufacturing take place right here. And we are glad that we made that choice because each machine is a really tough, durable and quality piece of equipment. Every single machine is CE certified to European standards and comes with a full one year guarantee. This is British manufacturing at its best. 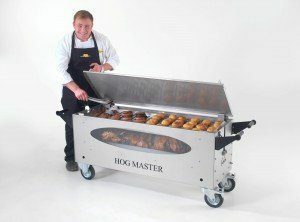 The hog roast machines which we have available for sale and to hire, really are some of the most capable pieces of catering equipment around, loaded with professional features. Just taking a look at a machine will give you an idea as to what you can expect. They look superb, finished in off with a fantastic stainless steel finish, which also ensure that it really is capable of taking some serious punishment; essential if you are taking a pig roast on the road in a catering capacity. Our machines are not only tough but they are spacious inside and that means a lot of room for food. If you have plans on regularly cooking for lots of diners, this is the machine for you. You can even cook multiple meats on one machine at a time which means it is even more able to meet your diners’ needs. Mobility is the name of game when it comes to these machines and despite being tough, you can still get these machines where you want them to be with ease thanks to top quality wheels and lightweight construction. Narrow doorways? No problem. It has been built with those in mind! 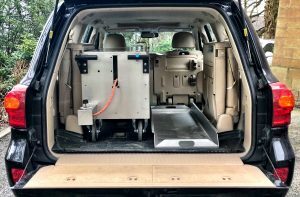 And of course, truly great pig roast machines are all about results and the quality of food that you achieve with one of our machines is exceptional. You simply cannot go wrong!